Although only a small fraction of the estimated 6000 extant bryozoan species has been analysed in a molecular phylogenetic context, the resultant trees have increased our understanding of the interrelationships between major bryozoan groups, as well as between bryozoans and other metazoan phyla. Molecular systematic analyses have failed to recover the Lophophorata as a monophyletic clade until recently, when phylogenomic data placed the Brachiopoda as sister to a clade formed by Phoronida + Bryozoa. Among bryozoans, class Phylactolaemata has been shown to be the sister group of Gymnolaemata + Stenolaemata, corroborating earlier anatomical inferences. Despite persistent claims, there are no unequivocal bryozoans of Cambrian age: the oldest bryozoans are stenolaemates from the Tremadocian of China. Stenolaemates underwent a major radiation during the Ordovician, but the relationships between the six orders involved are poorly understood, mostly because the simple and plastic skeletons of stenolaemates make phylogenetic analyses difficult. Bryozoans were hard‐hit by the mass extinction/s in the late Permian and it was not until the Middle Jurassic that they began to rediversify, initially through the cyclostome stenolaemates. 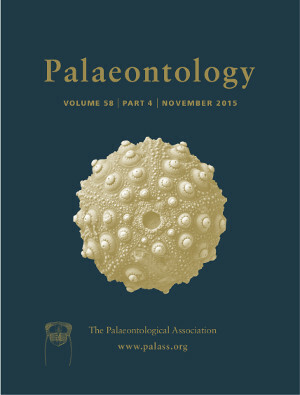 The most successful post‐Palaeozoic order (Cheilostomata) evolved a calcareous skeleton de novo from a soft‐bodied ancestor in the Late Jurassic, maintained a low diversity until the mid‐Cretaceous and then began to radiate explosively. A remarkable range of morphological structures in the form of highly modified zooidal polymorphs, or non‐zooidal or intrazooidal modular elements, is postulated to have evolved repeatedly in this group. Crucially, many of these structures have been linked to micropredator protection and can be interpreted as key traits linked to the diversification of cheilostomes.